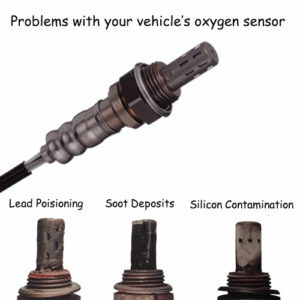 Want to Learn More About Your Vehicle’s Oxygen Sensor? An oxygen sensor is an emission control component that senses the presence of oxygen in the exhaust stream. Vehicles are one of the leading causes of air pollution in the world. As a result, government legislation has enacted regulation in many parts of the world to reduce vehicle emissions and increase fuel efficiency. By more closely controlling a vehicle’s air fuel ratio, fuel efficiency can be increased, while tailpipe emissions are reduced. The oxygen sensor functions as the eyes and ears for the ECU (engine control unit). Its role is to communicate with the ECU whether a vehicle is running rich or lean. The goal is to have the engine run as close to 14.7 parts of air to 1 part of fuel. 14.7:1 is known as the Stoichiometric Point. At this point, optimum combustion under normal conditions occurs and the least amount of harmful gases are produced. Your vehicle’s oxygen sensor can fail and some common causes are poisoning from substances such as engine coolant, silicone gasket materials or soot. If your oxygen sensor is experiencing any of these problems it is usually a sign that there are other mechanical issues with the engine. Thermal shock from raw fuel or moisture to the exhaust can also cause a sensor heater element to crack. The root cause of the problem should be addressed along with replacement of the oxygen sensor (if needed). 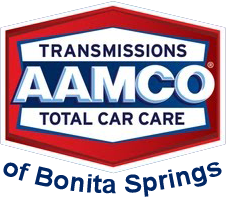 AAMCO of Bonita Springs is a NAPA Auto and Truck Service Center that specializes in automotive repair and maintenance and offers a Warranty that covers parts and labor on qualifying repairs and services for 24 months/24,000 miles. Schedule an appointment today to have your vehicle repaired and/or serviced.